In the world of rescue dogs, it is the Pit Bull (and pit mixes) that seems to take the lead of those abandoned in city streets and also tends to encompass the majority of those dogs populating city and county shelters across the country. Often misunderstood, due to isolated cases involving certain vicious pit bulls in our society, the Pit Bull, in reality, is most commonly a very people-friendly dog who wants nothing more than to please his owner. When Pit Bulls are aggressive to people, it’s usually in cases where the dog is chained and/or never socialized with people or other dogs and is almost never considered to be a member of one’s family, OR, when the dog is actually “trained” to be aggressive or vicious. A certain echelon of our society is fascinated with owning Pit Bulls, breeding Pit Bulls (a female can have a litter of 10 or more so lots of money for that echelon of society breeding them), and fighting Pit Bulls, and due to this, the Pit Bull often gets a “Bad Rap.” However, many people still love the Pit Bull (myself included), own a Pit Bull (myself included) and are NOT in that faction of society. But unfortunately, it is a result of this faction of society that the Pit Bull is the main dog seen in shelters today (well, Chihuahuas are pretty high in the numbers too!). 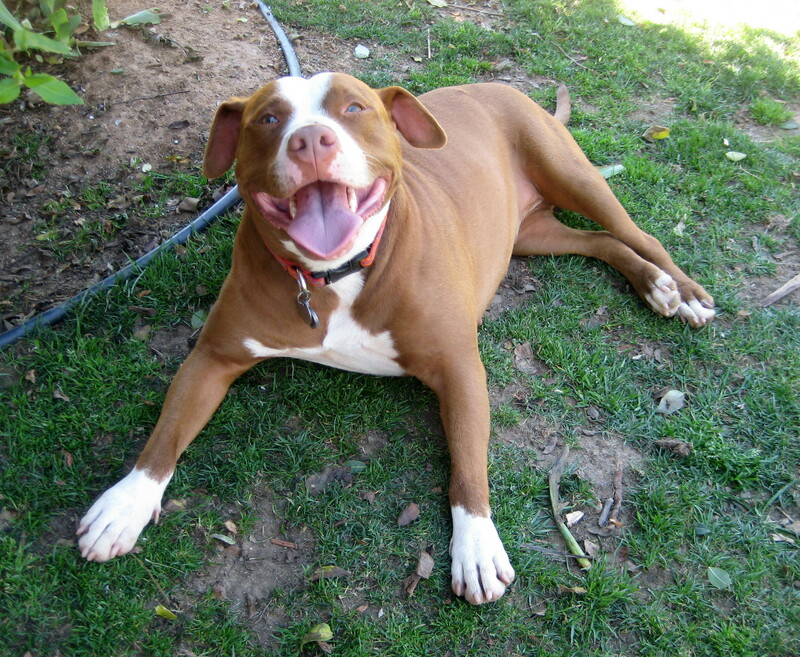 But again, Pits are most commonly ALWAYS people-friendly, and in SOME occasions can be dog aggressive. Having roots in history by way of a fighting dog in the “pits” of England (thus, the name, “Pit Bull”) certain Pit Bulls are still genetically pre-disposed to being anywhere from slightly dog aggressive to very dog aggressive. Therefore, SOCIALIZING your dog well with lots of other dogs when he or she is still a pup (or even when not a pup as long as things are safe and controlled) is a must and very much a plus! Teaching your dog to walk well on a leash in a controlled manner, as well as providing the appropriate level of exercise, is also paramount. A prong collar (i.e., a “pinch collar”) is recommended to prevent the dog from pulling strongly. Using a prong/pinch collar will preserve the dog’s cervical spine from injury and will also preserve your arm! A prong/pinch collar is not cruel when used correctly. It simulates the “momma dog” correcting her pups by way of her teeth. The dog understands the “pinch” as being a correction, same as when mom picked the pups up by way of her teeth to bring them back into the fold. Using a prong/pinch collar often results in a very enjoyable walk and being able to manage your strong dog better in public. Pit Bulls (in general) are not recommended for dog park or dog beach settings. Many pits cannot handle the over-stimulation of so many dog personalities in such a large group of dogs. 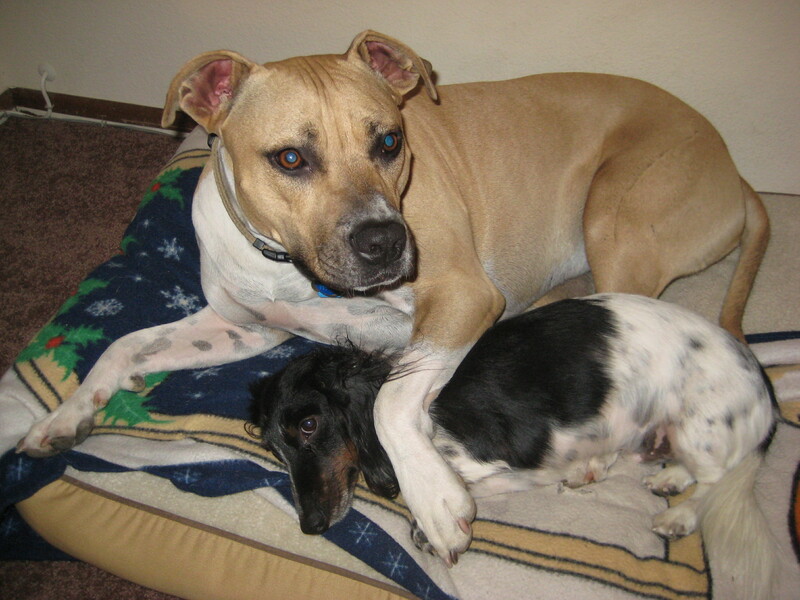 Your dog may be blamed for something because you are the one with the bully breed. Pit bulls can be amazing in play settings when socialized in smaller packs where proper introductions have been made. Don’t set your pittie pet up for failure – Pit Bulls are a great breed, but there are rules of being a responsible pet owner. Keep your pet leashed in public places. Because pits can easily get a “bad rap,” protect your pittie pet and always present your dog companion in a positive light. Don’t just “spoil” your pit with love, affection and toys. Pits do well when understanding rules and boundaries and that the human is in charge. Structure and consistency of routine, as well as crate training is paramount to this breed shining. Consider your pet an integral member of your family. No outdoor only dogs! Be a strong alpha leader to any dog that you adopt! We at Angel’s Heart believe that we have enough homeless, abused, and neglected Pit Bulls in our society and we need to stop breeding Pit Bulls! Spaying and neutering your dog will only serve to improve your dog’s temperament as well as improve his or her chances of being a better behaved, better socialized, and better model for the breed. 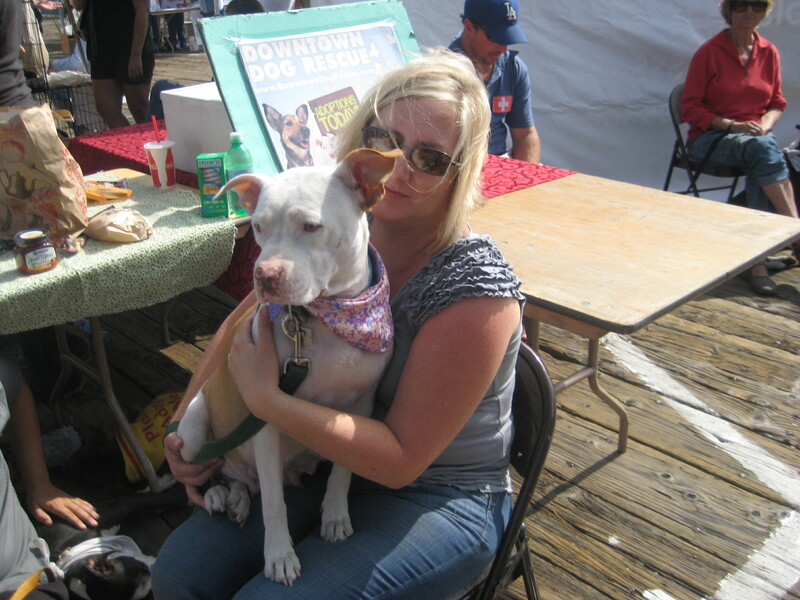 We consider Pit Bulls to be a fun, goofy, loving and affectionate breed that is NOT inherently aggressive by any means. When socialized well, the Pit Bull is NOT unpredictable and does not “snap” as is the misconception, but is a very loyal companion and friend. 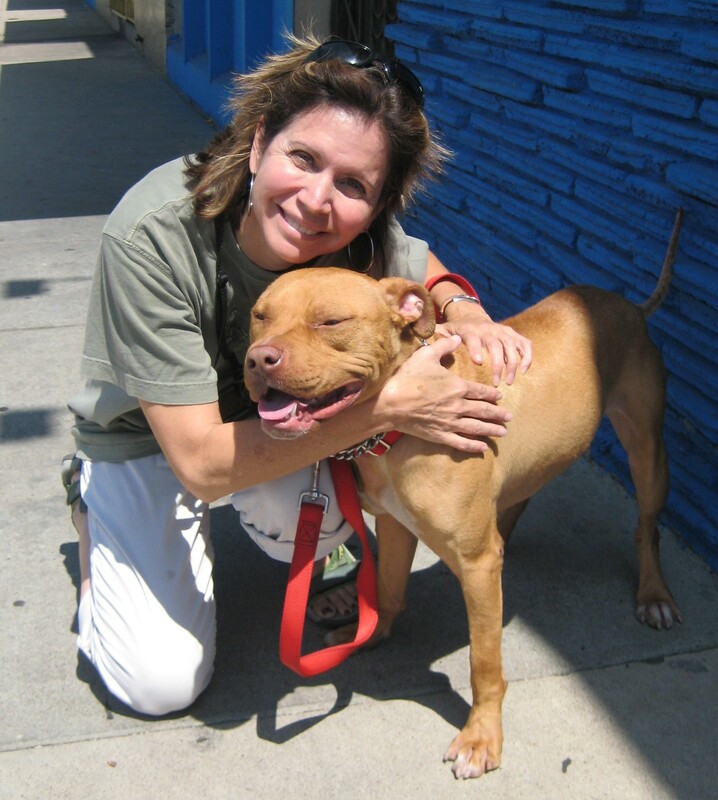 Please consider opening your heart and home to adopting a Pit Bull or Pit Bull mix.